Every foreigner child has to have foreign health insurance, the same as their parents. 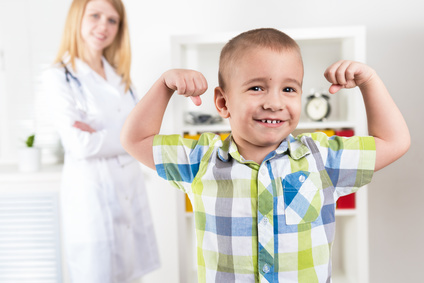 Health insurance for children in the Czech Republic provides these health insurance companies: PVZP, UNIQA, AXA, SLAVIA, ERGO, MAXIMA. In this article we would like to inform you about products which these insurance companies provide for children and compare their prices. Which health insurance type should I apply for my child? For your child it is possible to arrange acute and emergency healthcare or Comprehensive health insurance for foreigners. Acute and emergency healthcare for children is the same as for adults. It covers only emergency and acute issues in case of an accident or other important problems. Children who are insured with this type of health insurance are not allowed to have preventive medical care and vaccinations. Thereby we strongly recommend to apply not for acute and emergency healthcare but for comprehensive health insurance because this type of insurance covers preventive examination and all necessary medical treatments which your child may need during growing up. Which type of residency should I arrange for my child in the insurance? In most of the cases children have the tourist type of residence in the Czech Republic. It is not important if their parents travel to the Czech Republic due to job or studying. From a certain age it is also possible to arrange student type of residence (this age has every insurance company different). What do you have to know before arranging health insurance for your child in the Czech Republic? The process of health insurance arrangement is normally the same as arranging the insurance for adults. The insurance company needs elementary data about you such as name, surname, passport number, state which issued the passport, date of the beginning of the insurance and date of birth. It is important to outline, that if the insured person is under 18 years old, the policyholder will be his parent or other adult person. And therefore, the personal data of this policyholder will also be needed for the application process. Both names of the policyholder and the insured person will be stated in the insurance contract. If your child does not have a passport yet, you can use the data of the birth certificate for the application. The passport data will be additionally filled in the insurance contract after obtaining the passport. Also, if your child is under 1 years old, it is necessary to present a medical report or release letter from their maternity hospital about their health (it is enough to scan it and send it by email to the insurance company, or present a copy of such document). This is very important for accepting the child into the health insurance. Children under 1 years old are considered to be risky for the insurance company and therefore the insurance company must be fully informed about their health before providing the health insurance. In case one of the parents is a Czech citizen who permanently lives on the territory of the Czech Republic and his new born child obtains Czech citizenship, the child will be automatically accepted into the public health insurance system of the Czech Republic. In this case, you do not have to apply for the commercial health insurance for your child. How much does health insurance cost for foreigner children? Each insurance company has its own age limits and categories due to which, the price for health insurance is calculated. For example Comprehensive health insurance at Slavia insurance company distinguishes between children up to 5 years old (who have a fixed monthly tariff) and children older than 6 years old, who have more favorable prices together with the adults due to the number of months they apply for. On the other hand PVZP insurance company has several age categories with exactly calculate prices for each of them. Generally we can say that due to the higher risk for the insurance company, health insurance for children is more expensive than health insurance for adults. Are there any discounts on family health insurance? Yes, almost every insurance company offers “group discounts” or so called “family packages” where either a single discount rate will be applied for the whole group or the prices for children health insurance will be lowered so they are the same as for their parents. To obtain such discounts, it is necessary that the whole group or family has the same type of health insurance for the same period. It is not possible to receive the family package discount when parents apply for the Acute and Emergency health care insurance and buy their children a Comprehensive health insurance. Does the health insurance for children cover also the vaccination? Obligatory vaccination for children is included in the Comprehensive health insurance type and for that reason we strongly recommend to apply for it. It is better to pay a bit more on health insurance for your children than later pay for all additional medical treatment yourself.